Today I want to share something super special with you. Like the new love of my life special. Like buying a new car special. Like jumping up and down listening to Nsync special. And it’s called Conversion Magic. – and powerful and easy sales, which means more dream clients through your doors. that increases your conversion rates, builds your list and visibility, makes sales a breeze, and brings your business to a wider, excited audience. I noticed something over the last year. After working with several local companies on upping their online presence in order to increase sales, after working on several big web and film and sound projects in order to give the audience awesome, epic neck-tingles and inspired action, and after working with dozens of women to start their creative business with passion and purpose online (and not to mention all the technology and strategy they need to make money and impact), I’ve noticed that we’re missing a big piece. We’re throwing more into the pot and adding and adding strategies and throwing perfectly good ones out the window because we’re convinced they don’t work or we’re just not good at copywriting or Facebook has changed their algorithm so all is lost. We’re accepting ugly websites as our norm because we don’t have the vision or the communication or the technology prowess to take creative control of our own business’ appearance in the world. And we’re giving up on big, influencer status as businesses and gorgeous, inspiring creative projects like films, launches, and more in exchange for mediocre, just getting by, and constantly chasing down clients because we’re too scared to figure out what’s next. I know you’ve got big visions for your business. You created your business not just because you wanted to make money (you coulda done that in corporate). And not just because you wanted a big conglomerate (you woulda started another Nike ® if you wanted that). You started a business to create space. For yourself. And for your clients. And for those who come behind you. You started a business to create space for your unique purpose. And to mold all of your talents and energies and awesomeness and caring into one gorgeous, inspiring package. You want to show up in the world big time. You want to have creative control of your business. You want to face the next stage of growth with excitement and confidence that you got this, and that you’re creating something epic. The reason I’m so excited about Conversion Magic is because it does this. It’s got that missing link between LEARNING STRATEGIES and PERFECTING THEM. It’s got that creative control built inside it. And it means that I get to get ALL UP IN YOUR BUSINESS and help you make it great. – get you so confident and comfortable as the creative producer in your business that your creativity ABOUNDS, GROWS, and RUNS RAMPANT. We’ll get those big ideas – those films, those TEDxTalks, those magazine pitches, those radio shows – all put together and out into the big wide world. So that you can have a gorgeous business you love. The life you started it for (hello, time money freedom!). And the epic, neck-tingling content and work that you want to put out into the world. Picture us. Me, the director. You, the producer. We’re like Jerry and Gore on Pirates of the Caribbean. Together, we’re making an epic, neck-tingling film project called YOUR BUSINESS. This program is my favorite. And I want you there. I have 4 spots available this year. Click here. Secure your spot. Let’s make magic. P.S. 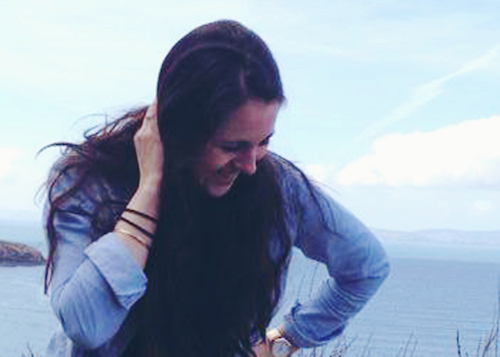 Wanna chat with me to see if Conversion Magic is the right fit for you? I’ve opened up a few spots to chat with you. Book here. 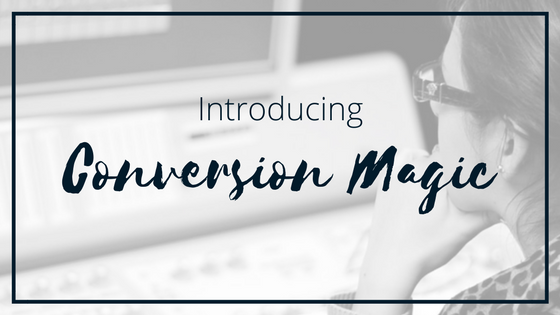 >> Click here to book a time to chat about Conversion Magic.